This is a tale worth chewing on. Rusty get lost in the department store and soon everyone is looking for him. Where is Rusty? Rusty goes to the department store with his mother and Henrietta and Toby. But his nose soon leads him astray and on a new adventure. 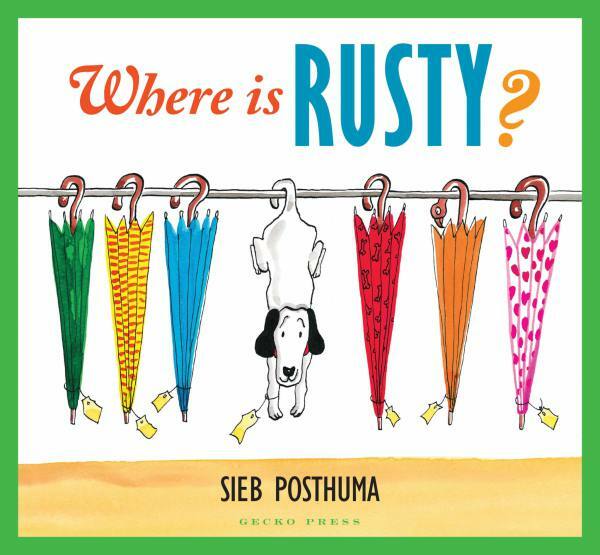 Where is Rusty? A genial, fast-moving mystery … This is a tale worth chewing on. [The] themes of hiding, searching and safety are ideal for young explorers. The skillful blend of human and canine characteristics in this romp will make for many a chuckle. [A] whimsical combination of word and picture. 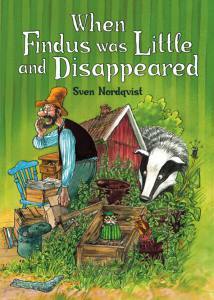 A highly likeable story [with] lively light-hearted illustrations. Sieb Posthuma’s cheerful illustrations create a completely canine world, where bones are important commodities and watch-dogs are security guards. There’s some wonderful attention to detail and the images are jammed full of humour and wit … One of our favourite books for the moment. A rollercoaster adventure as we track Rusty’s quest to return safely to mum … Thrilling and exciting stuff for younger readers and a very nicely presented and accomplished book. Well told and skillfully translated … The illustrations are full of detail and enhance the character of Rusty and the business of a Department store. 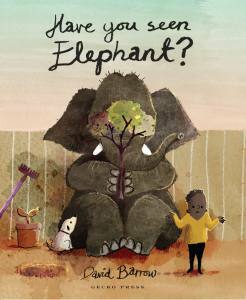 Great read aloud and much to ponder over for young children. 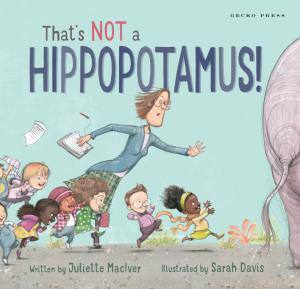 My kids loved the detail and humour in these pictures and it’s a riot of full-colour fun … The book has enough detail to hold the interest of my five year old while still being engaging for my three year old. A total win in our house! 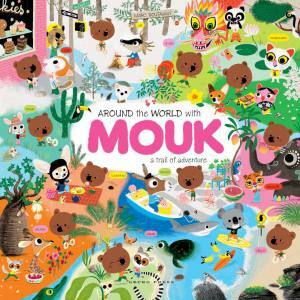 It is a charming reinterpretation of a timeless format, suited to children aged 3 upwards. The busy scenes are perfect for young readers who will discover interesting and amusing details when they look closely … Adults and children will enjoy finding new delights each time they share the story. A gentle story, full of good humour and family togetherness although, of course we know from the final page that Rusty will take off again at the first opportunity. The illustrations are delightful and very appealing. Pickle had a ball looking for Rusty on each page … [It] is aimed at children 3+ … but it certainly does appeal to my two-year-old.